Our design for Infinity’s Tampa, FL station earned the highest national Q-rating for billboard memorability and appeal. 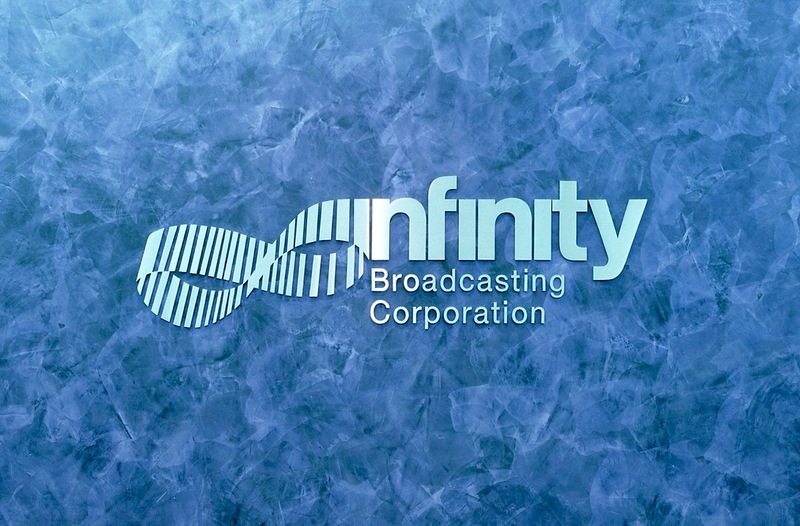 We designed Infinity Broadcasting’s logo and corporate identity, as well as station IDs and marketing for their properties in the Top 20 US markets including New York, LA, Philadelphia, Chicago, Houston, Detroit, Washington, DC and San Diego among others. For more than 20 years we designed Infinity’s trade and consumer advertising including outdoor media, as well as their annual reports and much more. Notably, we promoted Infinity’s national on-air personalities, Don Imus and Howard Stern. Our contributions to Infinity’s extraordinary growth and market dominance led to ongoing working with their parent companies after Infinity was first acquired by CBS, and again by CBS/Viacom. Explore how we can help broadcast your brand’s strengths. Signage at CBS/Infinity Radio’s Executive Offices. The first of our many station ID designs for Infinity Broadcasting, the logo of Boston's WBCN-FM was proudly displayed on the bumpers of more than 1 million loyal New England listeners in the 1970s & '80s. Our station logo design & branding treatment for one of Infinity Broadcasting's two Washington, D.C. market stations, as it was formatted in the '80's. Our logo design for Infinity's legendary, NYC classic rock station & the originating home of Howard Stern's syndicated programming.